The top three teams in each district meet will qualify. Each league will determine if they have any individual qualifiers. Any individual in the top seven not a member of a qualifying team. If all of the top seven individual qualifiers are members of qualifying teams, no additional individuals will qualify. 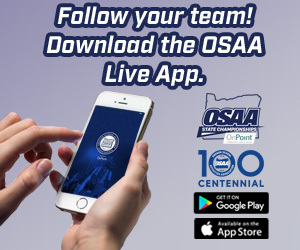 Any ties for final team or individual qualification spots shall be broken by the district prior to submitting the official state championship entry to the OSAA.